New Ad Highlights Joe Biden’s Incompetence, Urges Him to "Please Keep Running"
American Crossroads today released a new web video, “Run, Joe. 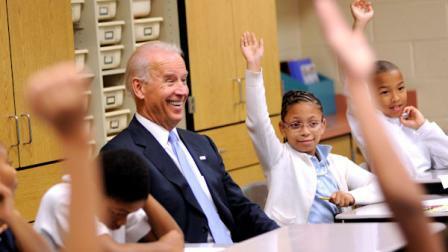 Run” – urging Vice President Joseph Biden to stay in the 2012 race for Vice President, despite growing calls for President Obama to drop him from the ticket. 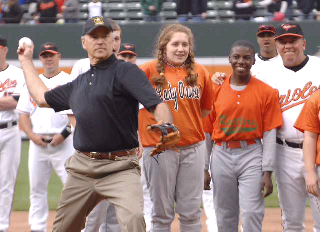 Biden’s general competence and capability. Best, the video does all of this using Mr. Biden’s own thoughtful words! The debates between this man, who is a heartbeat from the Presidency (a scenario Osama Bin-Laden once openly hoped for) and Paul Ryan should be interesting to say the least. What, you mean this guy is “totally unprepared”? The man bin Laden hoped would carry out the attacks on Obama and Petraeus was the Pakistani terrorist Ilyas Kashmiri. “Please ask brother Ilyas to send me the steps he has taken into that work,” bin Laden wrote to his top lieutenant, Atiyah Abd al-Rahman. A month after bin Laden’s death, Kashmiri was killed in a U.S. drone attack. Osama. Stand up, Osama. Let ’em see ya. Oh, god love you, what am I talking about?